Rutherglen Wine District – Just minutes away from Rutherglen’s 22 excellent wineries. One of Australia’s oldest wine growing areas, Rutherglen is renowned for its full flavoured table wines and internationally recognised muscats, tokays and ports. Regular events include the Tastes of Rutherglen in March and the Winery Walkabout in June. Corowa Golf Club – Boasting a superbly laid out 27-hole golf course offering a challenge to all golfers. Golfing packages including accommodation and meals are available. Federation Museum – Discover the fascinating story of Australia’s nationhood through the many changing displays. Federation Festival – Held in January every year come and celebrate the ‘birth of Federation’ in Corowa. Festivities include fireworks, craft market, street parade, bands and concerts. Lots of fun for the whole family. Sanger Street – Corowa’s historic main street featuring the Royal Hotel, Globe Hotel and Oddfellows Hall which were all used during the 1893 Corowa Federation Conference. Corowa Court House – Site of the meeting in 1893 during which Dr. Quick’s proposal relating to Federation was accepted. The Cooperage & Keg Factory – Situated at All Saints Winery the Cooperage provides the opportunity to see the age-old craft of keg making in a unique working environment. Jindera Pioneer Museum Complex – A short drive from Corowa and you can be wandering through the past. Set in beautiful grounds the complex includes village store, residence, slab hut, post office and more. Milawa district – less than an hour away, Milawa offers a multitude of taste sensations which include olives, mustards, cheeses and wines. A not to be missed tourist destination! Wine tours – Explore the Rutherglen vineyards either by yourself or let local experts drive you through the area on an organised tour. Stop off for lunch at one of the wineries or organise a delicious locally prepared picnic hamper. Golf – Play a round at Corowa Golf Club or try one of the other excellent courses in the area. Dining – A variety of first class dining experiences is available in Corowa and the surrounding district. Touring – Corowa is central to the historic towns of the north-east. 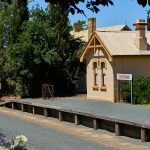 Take a drive through box-ironbark forest to the historic towns of Chiltern, Beechworth or Yackandandah. Bicycling – Bring your own or hire a bike at the Corowa Information Centre and take advantage of the terrain and weather to explore the vineyards and the local country roads. Water sports – Boating, rowing or waterskiing are all popular in the area as is fishing. Try your hand at catching the famous Murray cod, yellowbelly or redfin. Lake and river cruises – Take a boat cruise and discover the beauty of the local waterways of the Murray River and Lake Mulwala. Horse racing – With a number of meetings throughout the year, including Melbourne Cup Day, Corowa Race Club offers good racing, excellent facilities and country hospitality. Skydiving – Home of the National Parachute School, Corowa hosted the 1999 World Skydiving Championships. Enrol in one of the APF accredited accelerated courses or take a tandem skydive safely harnessed to a qualified instructor. For those people who are very interested in the Rutherglen Winery area, please email us and we will include your email address on our database and you will be advised on a regular basis of the up and coming events in the area. 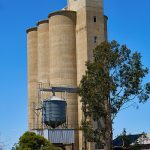 Events in the Rutherglen Winery area have become extremely popular and advance warning of such events can be invaluable in securing accommodation and much sought after winery event tickets. Depending upon the year – EASTER! (Sometimes in March.) 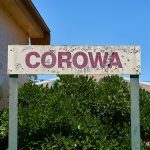 In Corowa, this means lots of sports, including bowls, golf, horse races, and the “Australian Billy Cart Championships”, which is run on Easter Saturday. “Winery Walkabout” – Queen’s Birthday weekend. This is a HUGE one, with approximately 20,000 tourists visiting the district. “Hot and Spicy Spring Festival” on Father’s Day weekend. Rutherglen Wine Show, with its awards dinner and public tasting. “Festival of Dance” – a week of various dance styles, with wine tastings and even discos for the kids! · “Tour de muscat” – a cycling tour along the Muscat Trail in Rutherglen. · The Riverbelt Golf Challenge. “Young Bloods and Bloody Legends” – presented by the winemakers of the Rutherglen district. On the first Sunday of the month – Corowa Federation Market at Bangerang Park. For dates and any information regarding these events, please feel free to contact us, or to contact the Visitor Information Centre in Sanger Street, Corowa, on (02) 6033 3221. In order to maintain our 4 Star Rating we will be undertaking a refurbishment of the property. We are enormously proud of our standards and our commitment to providing a high quality experience. As a result, we have carefully staged our plans to minimise any inconvenience and we appreciate your understanding as we complete our work.